Last Saturday I turned 23 an age that for some reason seems really grown up. It feels like I only just had my 21st birthday party and now here I am two years later and not entirely sure what I've managed to achieve in that time. My husband thinks I have a tendency to be a bit hard on myself as I often feel like I haven't achieved that much when actually I have done quite a lot in the last two years. My life has completely changed since my 21st birthday, for one thing I am married, I earn my own money and I study Creative Writing at Oxford University. Its been a complete turn around to what I was doing two years ago. Although I am quite scared to enter into an age in which I feel I should have more of my life sorted I am also excited to see what God brings about this year. I am a big lover of list making and I've been planning a "what I want to do in my 23rd year" list to give me a bit of direction and remind myself that I do have a plan and know where I am going. I was lucky enough to spend my birthday in my favourite place ever, which is of course Scotland. My birthday was the day before Easter Sunday so we were up for the weekend celebrating Easter with my in laws. 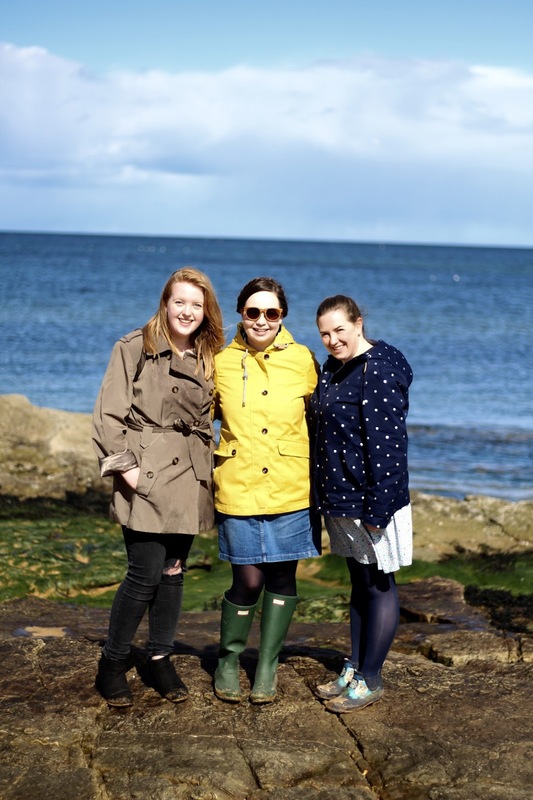 On my birthday I decided I wanted to go to one of my favourite beaches, Kingsbarns, and walk the dogs but this also meant we could get an amazingly delicious toastie from The Cheesy Toast Shack! My husband had told me a lot about these toasties and so I couldn't wait to try one. He hadn't over exaggerated at all and if you're in the area you have to go and try one of these bad boys. It was rather windy on my birthday and as we walked to the quiet part of the beach we normally like to go to, in true Scottish style we were hit with a freezing cold rain shower. Luckily it cleared up very quickly and the sun shone once again making the crystal clear water sparkle. When we got home from our walk I we all snuggled up next to the Aga and had a slice of my amazing birthday cake. 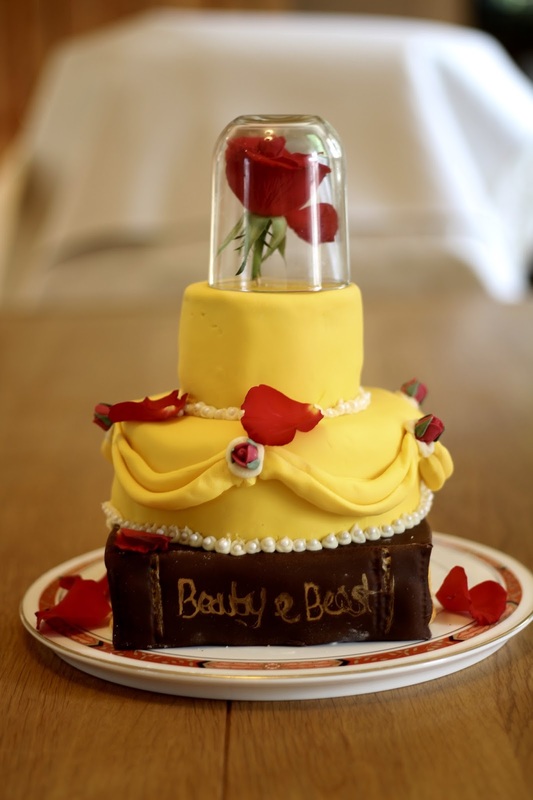 If you haven't guessed from previous posts I have a serious love for Beauty and the Beast (even my wedding had Beauty and the Beast in it) and so my amazingly talented mother in law made me an epic Beauty and the Beast cake. It was so good! I had such a lovely birthday and I hope this is the start of many a birthday spent in my dear Scotland.